It is a curious thing that the New Testament does not command us to pray for the persecuted church. 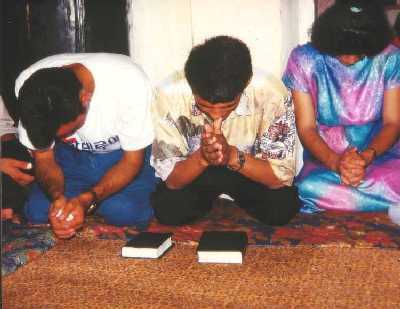 Before asking for food, shelter, safety, deliverance, or even a copy of the Scriptures, most persecuted believers ask first for prayer. Praying for those suffering persecution is as natural to the Christian as praying for loved ones as they are heading into surgery. We really don’t have to be taught to do it. We just know that it’s right. We do need to be commanded to pray for our enemies, however. As Jesus points out in the Sermon on the Mount, we have already heard that we should love our neighbors and hate our enemies. What we need to hear by way of divine command is “Love your enemies, and pray for those who persecute you.” Isn’t this strange? We are not commanded to pray for the persecuted in the Sermon on the Mount. 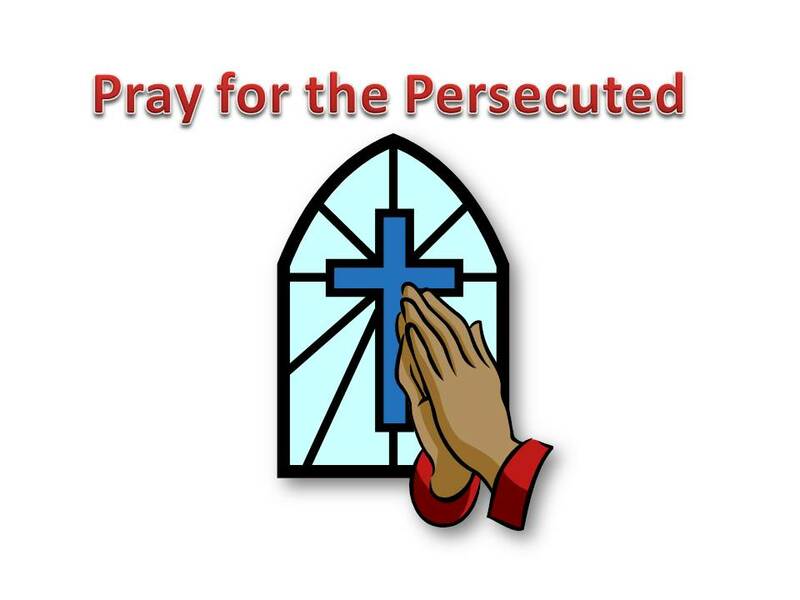 We are told to pray for the persecutors! What is Jesus thinking? What could possibly be the reason for such a seemingly impossible command? We might think the reason would be to pray for the conversion of the persecutor. That way, a double victory is won, both with a victory for the persecutor in moving from an anti-Christian rebel, headed for destruction, to becoming a saint with all the privileges of a child of God, including eternal life. The double victory portion would be found in the fact that the converted persecutor would stop persecuting—it’s a win-win. And a win-win would be good, right? The idea found in Matthew 5:45 is simply this: Reflect the glory of God with your life. God pours out love on us who are naturally unloving and unlovable. So, why would we refuse to offer it to others? Because we have the spirit of Christ, we, too, can reflect the glory of God by showing His love to our enemies. Show the world the grace God has bestowed upon you. We are to be like God, extending love aggressively in the face of hostility. Notice, first, how desperate the situation was for Paul and his companions. Second, notice the role of prayers in Paul’s deliverance. And, third, notice the reason Paul thinks God will deliver him and his persecuted companions through the prayers of other saints. Paul reached his physical and emotional limits. But God helped him and saved him through it all. The prayers of other saints were crucial in this process according to Paul. The situation was so bad that only God could provide deliverance. And God did so in accordance with the way the saints were praying. The reason God orchestrated the events of Paul’s severe persecution the way He did was so that the whole church could celebrate the goodness and power of God when God provided a miraculous deliverance in accordance with the prayers of the saints. Today, when we pray for our brothers and sisters in need, we, too, become instruments through whom God is bringing deliverance to His people. Part of our reward is celebrating in the Thanksgiving of answered prayers offered to the Father on behalf of Christ’s people. We don’t have to be commanded to do what we know God wants us to do. We know more than God’s commands. We know God Himself. And we know how He works in and through His people. This entry was posted in Christian Living, Persecution and tagged 2 Corinthians, Christian Persecution, Jesus, paul, prayer, Sermon on the Mount. Bookmark the permalink. It’s like children asking their dad for something. In praying for the persecuted, it shows we care about the situation (and the people involved.) Amazingly (and graciously) enough, God cares about what us mere humans think, and He wants our praise. He wants to show us how good and powerful He is, especially in dark times when all hope appears lost.